Ocado Group plc OCDO produced revenue growth of 11.5% in the quarter to the 2nd September plus double digit growth of 11.4% in the average number of weekly orders.The average size of the orders remained constant at 106. The unique proprietary technology at the new warehouse at Erith enabled Ocado to process over 20,000 customer orders with 14 weeks of opening, compared to the 15 months it took the Andover warehouse to achieve the same throughput. BBA Aviation BBA announces that it has acquired Firstmark Corp for a consideration of $97m. Firstmark is a leading provider of highly engineered, proprietary components and subsystems for the aerospace and defence industries.The acquisition enhances BBA’s exposure to the commercial and military aerospace markets. Spire Healthcare Group SPI managed to maintain its interim dividend at 1.3p per share despite a decline in performance for the six months to the 30th June. NHS admissions fell significantly, coupled with lower than anticipated growth in Private admissions and the cost of investment in Clinical quality and Consumer engagement.Whilst revenue only fell by 1.1%, EBITDA was down by 20.6%, adjusted profit after tax by 52.7% and basic earnings per share by 52.9%. The company admits that the results are disappointing but claims that everybody else is facing similar headwinds and significant business challenges. Nonetheless it has a new strategy, which it claims “is absolutely the right one”, albeit the outlook for the full year has still had to be revised. Plant Healthcare PHC expects strong revenue growth in the second half which would lead to growth of 30% for the full year. Revenue for the six months to the 30th June was down slightly from $3.1m to $3m.The company also expects to become cash positive in 2020. Pure Circle Limited PURE showed a return to growth in both revenue and net profit after tax for the year to the 30th June. Sales rose by 10%, with a particularly strong recovery in North America, volume was up by 17% and net profit after tax by 20%. Tesco TSCO is to publish its prospectus and other documents later today for its proposed merger with Booker. These will include a profit forecast of £1,57 billion for the year to 24th February 2018 and an intention to pay a final dividend of 2p per share. Electrocomponents ECM The quarter to the 31st January produced a strong underlying revenue performance with growth of 14%. Each of the 5 regions produced double digit underlying growth. The Performance Improvement Plan stage 1 has now been completed and the company is excited by the opportunity for further growth and improvement. Murgitroyd Group MUR is to increase its interim dividend by 30% to 6.5p per share for the half year to the 30th November. Profit before tax rose by 14% and basic earnings per share by 14%. The board is confident of further long term growth. Croma Security Solutions CSSG trading for the 6 months to the 31st December has been exceptionally strong and EBITDA is expected to have grown from £0.44m to £1.1m. Record profits are expected for the full year. Eckoh ECK has secured six sizeable new orders since the interim results were announced on the 17th November. These were in a variety of sectors including, healthcare, insurance and mobile telecoms where the client was one of the UK’s largest mobile telephone operators. Benefits are expected to start accruing in the second half. Alan Green, CEO of Brand Communications talks about Cadence Minerals #KDNC, Smart Metering Systems #SMS and URA Holdings #URA with Justin Waite on the VOX Markets. Interview starts at 26 minutes 21 seconds in. Brand CEO Alan Green discusses Smart Metering Systems #SMS, Cadence Minerals #KDNC & South32 #S32 with Justin Waite on the VOX Markets podcast, Interview starts 19 minutes 20 seconds in. Brand CEO Alan Green discusses AA Group (AA. 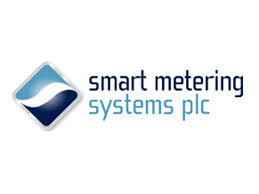 ), Indivior (INDV) & Smart Metering Systems (SMS) on Vox Markets podcast. The interview is 18 minutes 30 seconds in. Smart Metering Systems SMS 2016 was a transformational year with the continuation of year on year double digit growth. Recurring annual income rose by 20% in the year to 31st December. Gas meter recurring rent was up by 13% and electricity meter recurring rent more than doubled. Haydale Graphene Ind. HAYD anticipates that group revenue for the current financial year will be below market expectations following the customer sampling programme taking longer than expected and meaning that commercial revenue from the customer will be delayed until the first half of the next financial year. In addition the decision to concentrate on collaboration with partners for the long term has and will result in reduction of short term revenue.